Dr. Willets is a postdoctoral fellow in Dr. John Lewis’ lab. She is establishing a career as a medical science researcher who will have a positive impact on improving the quality of life for cancer patients through accelerated translational research from the laboratory to the clinic. Toward that, she has completed his doctoral degree in Experimental Medicine under the co-supervision of Dr. James Lee at the Mayo Clinic Arizona, and Dr. Redwan Moqbel at the University of Alberta. This experience provided her with training and knowledge in the investigation of the pathophysiology of allergic asthma. During her Ph.D. training, Dr. Willets worked and learned from immunologists, developmental biologists, clinicians and geneticists to develop my skills in transgenic animal-based medical research, scientific communications, and international collaborations. At the beginning of 2014, Dr. Willets joined Dr. Lewis’ lab in the Dept. Oncology at the University of Alberta to pursue research interests in metastatic cancer. Metastatic disease is the leading cause of mortality in patients diagnosed with various types of cancer; she is intrigued by the mechanism and the environment in which cancer cell motility is activated to initiate metastatic spread. The understanding of how cancer cells migrate on a molecular level can be used to develop biological indicator-based detection for prognostic purposes. Metastasis is the main cause of prostate cancer patients’ death, yet current diagnoses for prostate cancer depend on tracking changes in circulating prostate specific antigen, monitoring for symptoms and intermittent needle biopsy. Metastatic disease may occur early and originate in localized disease that is not aggressive by our current standard. Limited confidence in current methods to distinguish metastatic from localized disease result in substantial overtreatment of patients. Consequently, there is an urgent need for molecular indicators to identify metastatic disease. 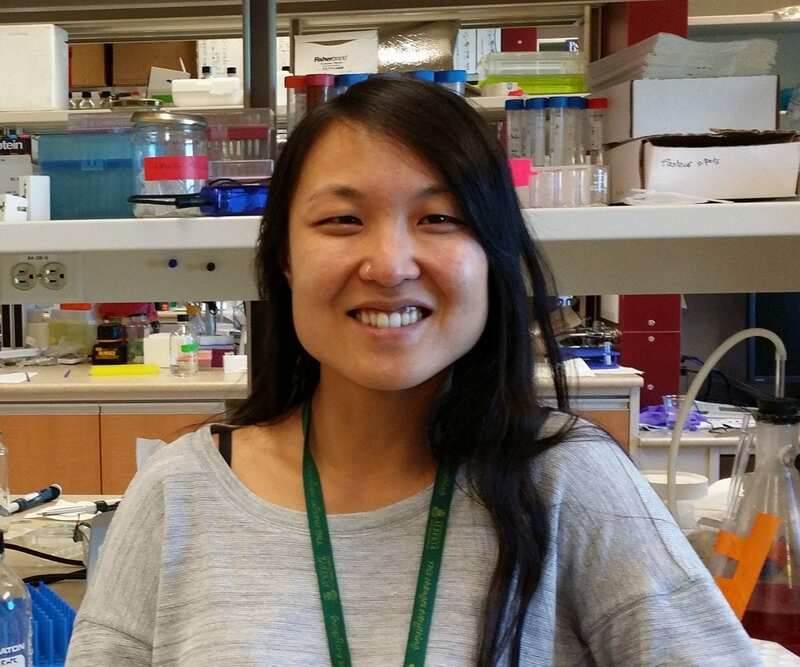 Her current project in the Lewis’ Lab is to validate newly identified biological indicators and translate their utility into clinic practice to further distinguish prostate cancer patients with high metastatic potential from the ones who have indolent and localized disease. Willetts L., David Bond, Konstantin Stoletov, John D. Lewis. Quantitative Analysis of human Cancer Cell Extravasation Using Intravital Imaging, Department of Oncology, University of Alberta (2016) Vol. 1458, The Tumor Microenvironment, Methods Molecular Biology. Willetts L., Ochkur SI, Jacobsen EA, Lee JJ, Lacy Eosinophil shape change and secretion (2014) Methods Mol Biol vol:1178 pg:111-128. Willetts L., Parker K, Wesselius LJ, Protheroe CA, Jaben E, Graziano P, Lacy P, Moqbel R, Leslie KO, Lee NA, Lee JJ. Immunodetection of occult eosinophils in lung tissue biopsies may help predict survival in acute lung injury. (2011) Respir Res, 12:116. John Kim, Willetts L., Sergei Ochkur, Nutan Srivastava, Rudolf Hamburg, Anooshirvan Shayeganpour, Miguel Seabra, James Lee, Redwan Moqbel, and Paige Lacy An essential role for Rab27a GTPase in eosinophil exocytosis”. (2013) J. Leukoc. Biol. Lacy P, Willetts L., Kim JD, Lo AN, Lam B, MacLean EI, Moqbel R, Rothenberg ME, and Zimmermann N. Regulation of inflammatory mediator release from eosinophils: role of Rac2 in superoxide release, chemotaxis, and exocytosis. (2011) Int Arch Allergy Immunol 156,137-47. Jacobsen EA, Lesuer WE, Willetts, Zellner KR, Mazzolini K, Antonios N, Beck B, Protheroe C, Ochkur SI, Colbert D, Lacy P, Moqbel R, Appleton J, Lee NA, Lee JJ. Eosinophil activities modulate the immune/inflammatory character of allergic respiratory responses in mice. (2013) Allergy. Lee JJ, Jacobsen EA, Ochkur SI, McGarry MP, Condjella RM, Doyle AD, Luo H, Zellner KR, Protheroe CA, Willetts L., Lesuer WE, Colbert DC, Helmers RA, Lacy P, Moqbel R, Lee NA. Human versus mouse eosinophils: “that which we call an eosinophil, by any other name would stain as red”. (2012) J Allergy Clin Immunol. 130(3):572-84. Doyle AD, Jacobsen EA, Ochkur SI, Willetts L., Shim K, Neely J, Kloeber J, LeSuer WE, Pero RS, Lacy P, Moqbel R, Lee NA, Lee JJ. Homologous recombination into the eosinophil peroxidase locus generates a strain of mice expressing Cre-recombinase exclusively in eosinophils. (2013) J. Leukoc. Biol.